Terms: CYBER25 Offer expires 12/1/2014 (11:59 P.M. PT). Offer is good for 25% off qualifying merchandise orders through shutterfly.com, the Shutterfly Photo Story app for iPad, the Shutterfly iPhone, iPad and Android Apps. Taxes, shipping and handling will apply. Not valid on personalized postage stamps, prepaid plans, gift certificates, videograms, cards sent using mailing services, prior purchases, orders placed for in-store pick up, purchases made through the Shutterfly Pro Galleries. Cannot be redeemed for cash or combined with other offers or credits. If you happen to miss out on MORE4U this weekend, you're still in luck. Entering promo code GOHOLIDAY will save you 20% off your total order at checkout. Conversely, double up on both promos over the next 7 days and you'll have simply saved big time! Terms: GOHOLIDAY Offer expires 11/11/2014 (11:59 P.M. PT). 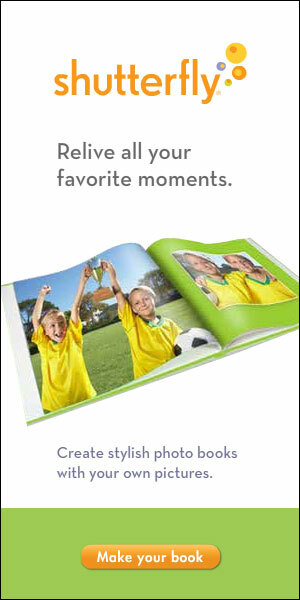 Offer is good for 20% off one qualifying merchandise order through shutterfly.com. Offer cannot be redeemed more than once per account and/or billing address. Taxes, shipping and handling will apply. Not valid on prepaid plans, gift certificates, videograms, cards sent using mailing services, prior purchases, orders placed for in-store pick up, purchases made on the Shutterfly iPhone, iPad and Android apps or Shutterfly Pro Galleries. Cannot be redeemed for cash or combined with other offers or credits. Not valid for resale. Limited Time Only….Free 20-page 8x8 or 12x12 photo book with any ThisLife subscription! Want to go from Photo Mess to Photo Bliss? Have all your photos and videos in one place with ThisLife, and get a free photo book during this limited time promotion. Sign up for a Standard Plan for $59 per year (normally priced at $79), good for up to 25,000 of your photos and videos and get a free 20-page 8x8 photo book. 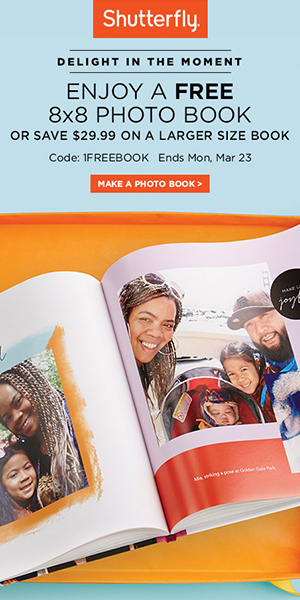 Or, sign up for the Premium Plan for $139 per year (normally priced at $199), good for up to 100,000 photos and videos and get a free 20-page 12x12 photo book! 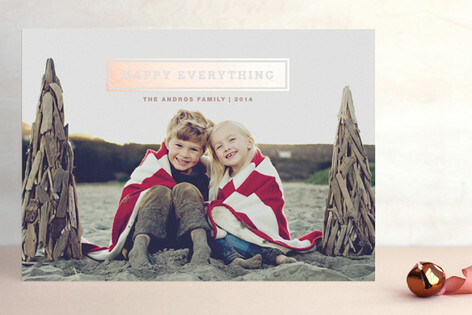 ALL Shutterfly customers save up to 50% off their purchase with this week's tiered sale! Back by popular demand, the "The Buy More, Get More Event" ensures all customers save 30% on orders under $50, 40% on orders of $50+, and best of all, 50% on orders of $100+ or more with promo code MORE4U. It's the ideal time to start ordering holiday gifts in advance. Some cool gift ideas include the newly released iPhone 6 case (completely customizable, of course), desktop plaques (ideal for the hubby's office), photo books (the grandparents love 'em, guaranteed), even pillows and blankets (wait—photo blankets?—yep, we do it!). Terms: MORE4U Offer expires 11/9/2014 (11:59 P.M. PT). Offer is good for 30% off qualifying merchandise orders of $1-$49.99; 40% off $50-$99.99 and 50% off $100 or more (after any other discounts and before taxes, shipping and handling) through shutterfly.com. Taxes, shipping and handling will apply. Not valid on prepaid plans, gift certificates, videograms, cards sent using mailing services, prior purchases, orders placed for in-store pick up, purchases made on the Shutterfly iPhone, iPad and Android apps or Shutterfly Pro Galleries. Cannot be redeemed for cash or combined with other offers or credits. Not valid for resale. Remember all those times you frantically ran to the supermarket just days before Christmas only to find the most generic cards were left in stock? Say goodbye to the days of basic-ness. As a new customer to Shutterfly, using promo code JINGLETEN will land you 10 free, perfectly personal cards of your choice that can include new design features like foil embellishments and extra fancy templates. We'll even stamp and send them out for you (at additional cost) to ensure they arrive to your loved ones on time. Terms: JINGLETEN Offer expires 11/26/2014 (11:59 P.M. PT). Offer is good 10 free 6x8 or 5x7 cards through shutterfly.com. Must select one of the two card types. Includes design enhancements. 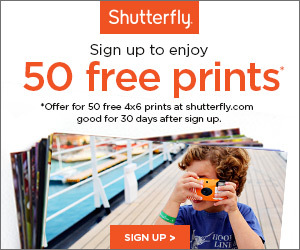 Valid only for new Shutterfly customers (those who have never purchased from Shutterfly). Offer cannot be redeemed more than once per account and/or billing address. Taxes, shipping and handling will apply. Rounded corners and pearl shimmer cardstock will incur extra fees. Not valid on other sizes, calling cards, prepaid plans, cards sent using mailing services, prior purchases, orders placed for in-store pick up, purchases made on the Shutterfly iPhone, iPad and Android apps or Shutterfly Pro Galleries. Cannot be redeemed for cash or combined with other offers or credits. Not valid for resale.